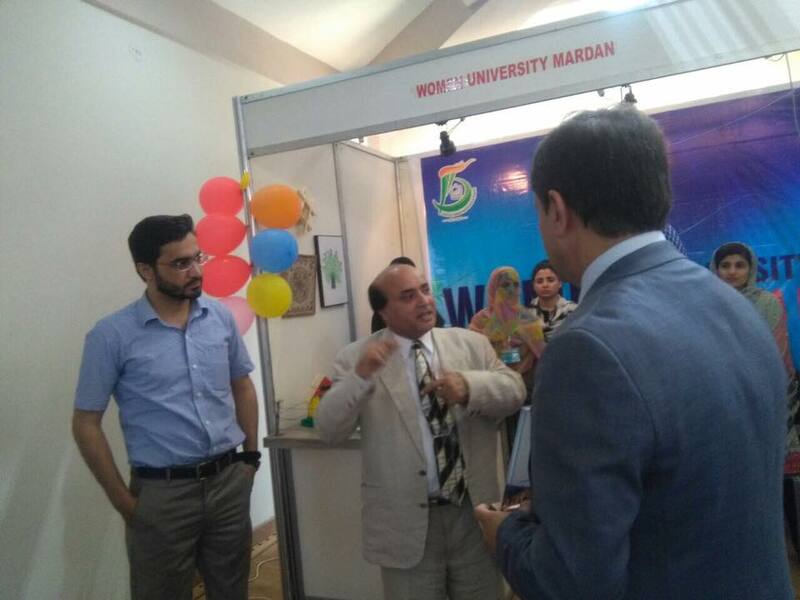 Science Exhibition was organized by Science Society of Women University Mardan on 21st march, 2018. Dr Mehar Taj Roghani, Deputy Speaker National assembly was invited as chief guest. Students of Science discipline participated in science exhibition by presenting their models and charts. Students of 4th Semester Msc Microbiology presented their research projects in the form of Posters. Winners of modal were awarded with trophy and participation certificates were distributed among participants. 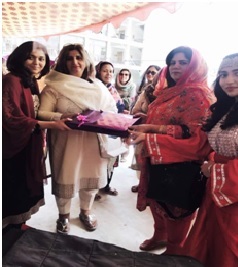 At the end of the event, Honorable Vice chancellor Women University Mardan Prof Dr Ghazala Yasmeen presented shield to the chief guest Dr. Mehar Taj Roghani. 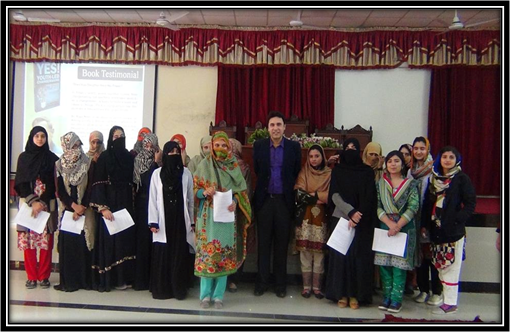 The faculty and students of Department of Microbiology, Women University Mardan visited University of Peshawar for Educational tour on the 26th of April, 2017. 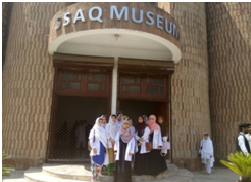 They visited museum, located in Archeology Department, University of Peshawar and also visited laboratories of Center of Biotechnology and Microbiology (COBAM), University of Peshawar. The Faculty of Department of Microbiology, Women University Mardan organized a mega event (spring festival, 2017) on 11th of April, 2017, in collaboration with all the societies of the University. 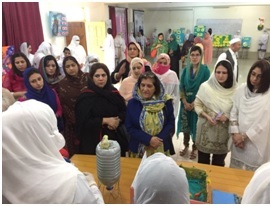 The Chief Guests on this occasion was Dr. Kaniz Fatima, Principal of Home Economics College Peshawar. Different stalls such as “Food items, Music dedication, Jewelry and Games Stall” were installed by students and outsiders. 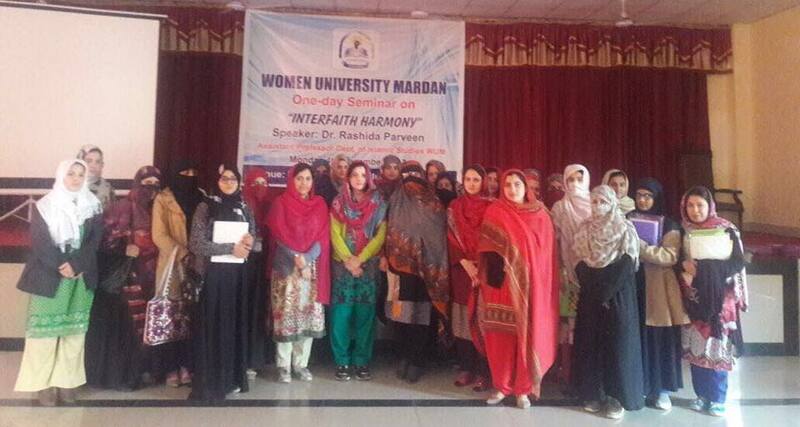 Vice Chancellor, Women University Mardan collaborated with the Chief Guest for deciding the winners of the festival. Faculty and students of other Colleges and Universities were invited to enjoy the colors of spring festival. This way, a positive platform was provided for interaction among students of various institutions. The stall hosted by the students of department of Psychology was decided as “Best Stall of the Festival”. The faculty and students of Department of Microbiology, Women University Mardan attended 8th International Annual Health Research Conference, at Khyber Medical University Peshawar, held from 24th to 26th of April, 2017. The seminar organized by Department of Microbiology was on “Food Borne Pathogens”. The Guest Speaker was Dr. Zia-ur-Rehman, Assistant Professor, AbdulWali Khan University Mardan. 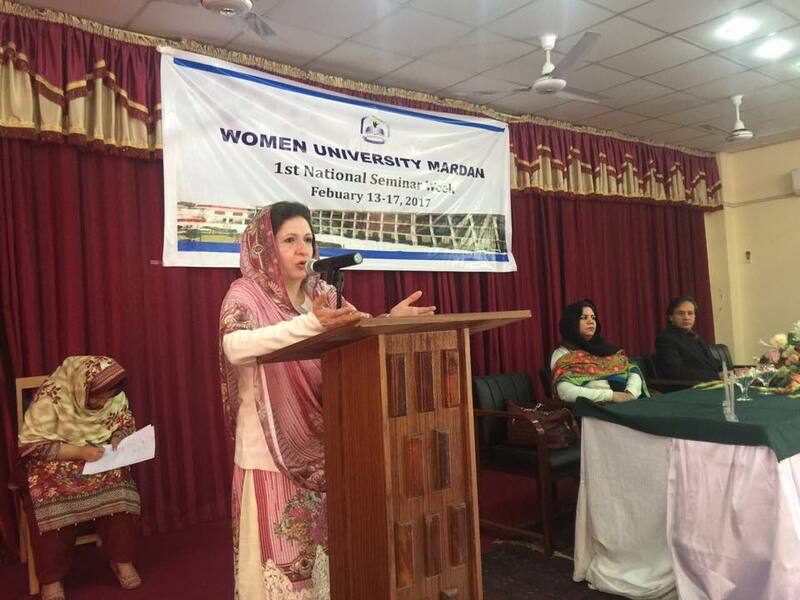 First National Seminar Week was held in Women University Mardan, from 13th to 17th February 2017. 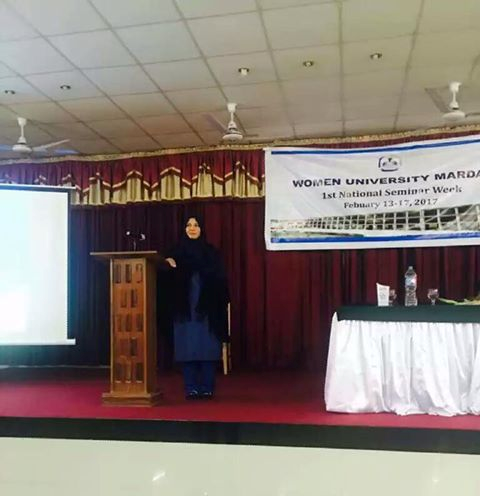 Faculty of Department of Microbiology, Women University Mardan participated in one day Cancer Awareness Seminar, held on 16th of February, 2017 in Abdul Wali Khan University Mardan (AWKUM). The seminar was organized by Department of Microbiology, Abdul Wali Khan University Mardan (AWKUM) and National Academy of Young Scientists (NAYS), Pakistan. Ms. Neelam Zeb, Chairperson, Department of Microbiology, participated as organizer in the 2nd training Workshop on “Enzyme Engineering: An efficient tool to improve properties of Industrial Biocatalysts” in National Institute for Biotechnology and Genetic Engineering (NIBGE), Faisalabad held from 5th to 7th December, 2016. The faculty of Department of Microbiology, Women University Mardan attended 39th Annual Conference of Pakistan Association of Pathologists in Khyber Medical University, Peshawar held from 23rd to 25th of November, 2016. 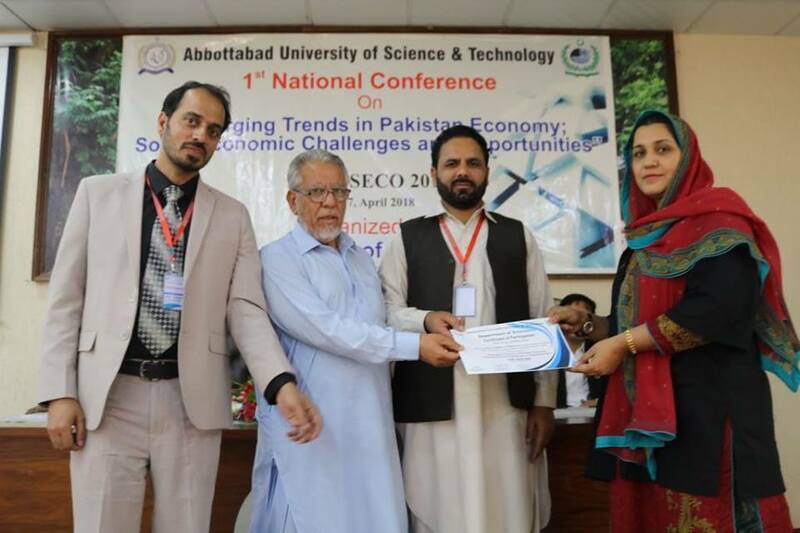 Dr Farah khan Assistant professor Women University Mardan presented a research paper on “Schooling and Socio-economic development, A Constructive Review “organized by Abbottabad university of Science & Technology Abbottabad. 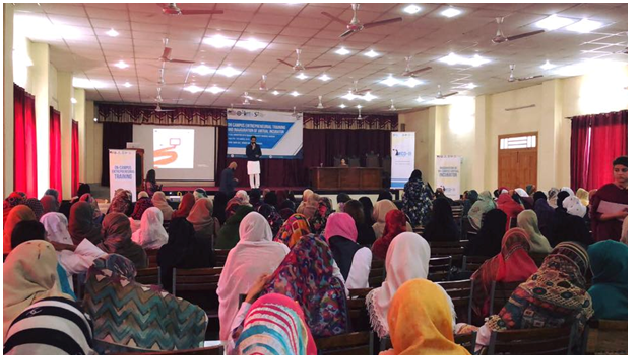 ORIC Women University Mardan organized two days training on YOUTH LED CHANGE MAKING AND SOCIAL ENTREPRENEURSHIP in collaboration with British Council. 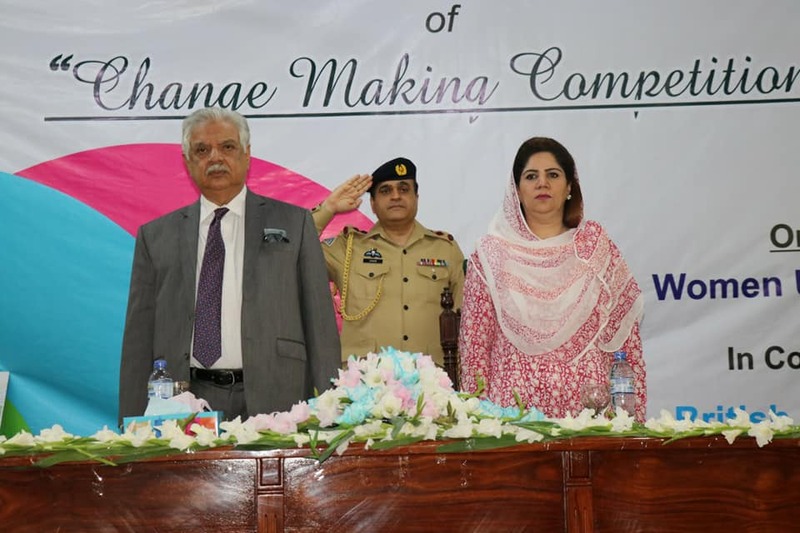 Hounarable Governor Khyber Pakhtunkhwa Mr. Iqbal Zafar Jagrha was the chief guest on the closing ceremony of the said event. The Governor appreciated the University’s efforts of adapting new trends in the system of education, and enlightening the students with information other than the textbooks that will help in polishing their skills. He said that he hoped the University would soon make its place in the top rankings of the list of Universities, and women from all over the country would come here for education. 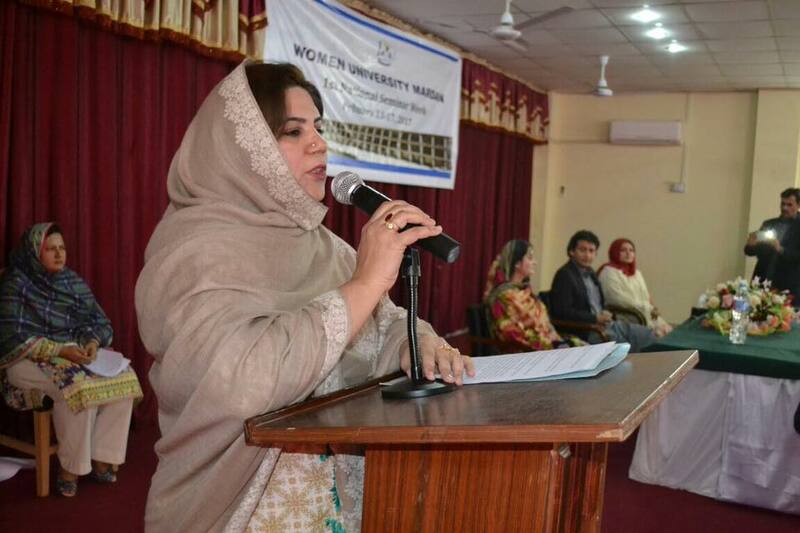 Honorable Vice Chancellor of Women University Mardan highlighted all the progress made by the University in both the curricular and co-curricular activities. The Governor distributed medals and certificates among the students and Faculty members who had attended the youth change-making training; whereas, the Vice Chancellor presented a Shield of Honor to the Chief Guest. During his visit, the Governor also inaugurated the Central Resource Lab and the posters exhibition abiut Disaster Management organized by Department of Psychology. 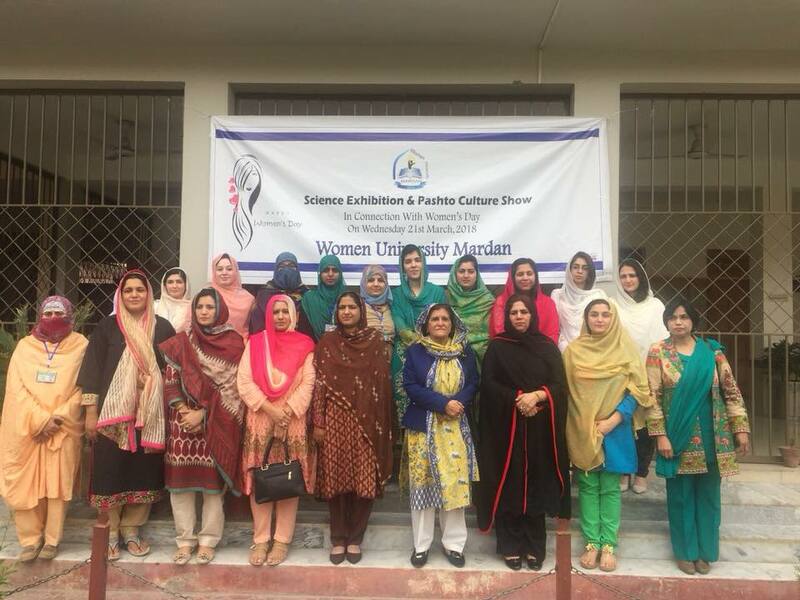 Science society and Pashto cultural society organised science competition and Pashto cultural show in connection with women’s Day 2018. 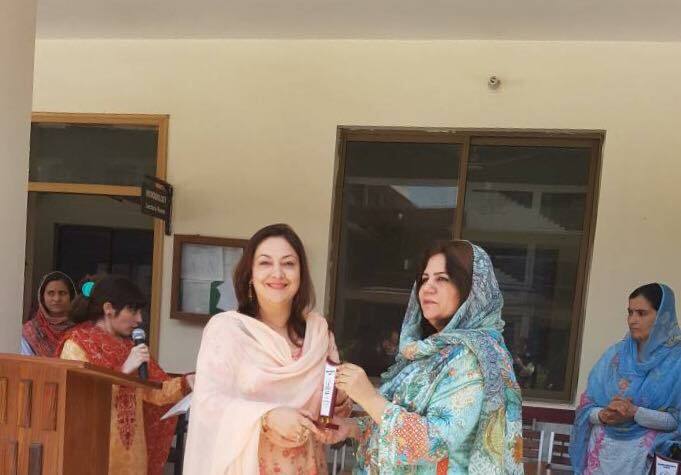 Chief guest was senator Dr.Mehr Taj Roghani Ex Deputy Speaker Provincial Assembly KP. 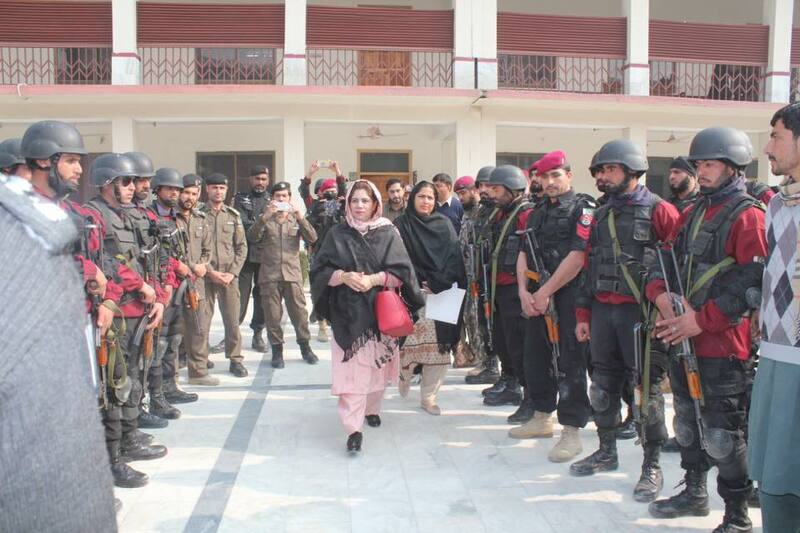 The Police elite force and emergency rescue service 1122 carried out Mock exercise today at Women university Mardan. The purpose of this mock exercise was to create awareness among students about how to react in such situations . The rescue 1122 team gave a training about emergency first aid. The vice Chancellor WUM Prof. Dr. Ghazala Yasmeen appreciated security officer for organising the training and mock exercise . She said that these types of exercises train students to effectively handle disasters and hazards. 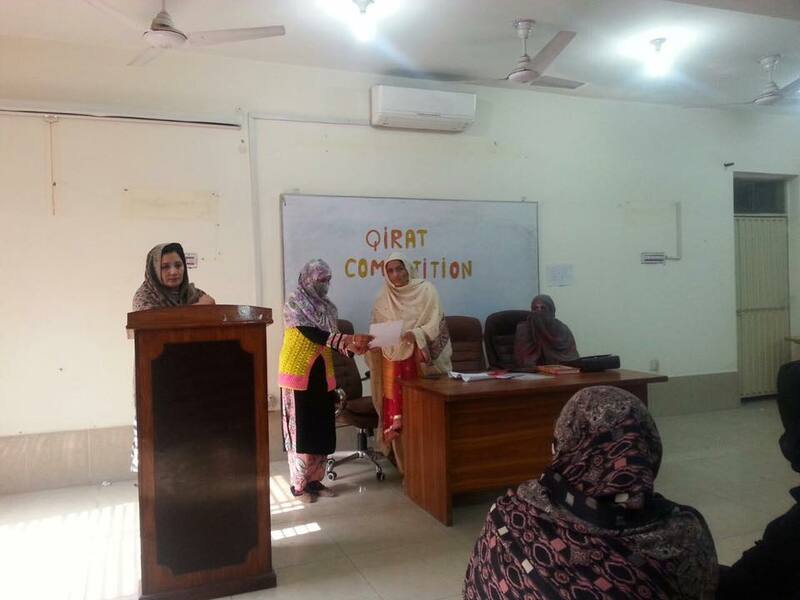 Qirat competition was organised by Dept of Islamic studies , Women university Mardan. Chief guest was additional registrar Dr. Rakhshanda Sadiq. Dept. of Islamic Studies arranged one day seminar on " interfaith harmony ". Guest speaker was Dr. Rashida Parveen. Dept. of Psychology WUM arranged one day seminar on "tolerance and Citizenship" . Ms Irum Mir was resource person. Department of English WUM organised one day seminar on Emerging Trends in Poetry And other genres of Literature. Prof. Dr. Mobina Talat , Dean Faculty of Social Sciences , Comsats Islamabad was resource person. 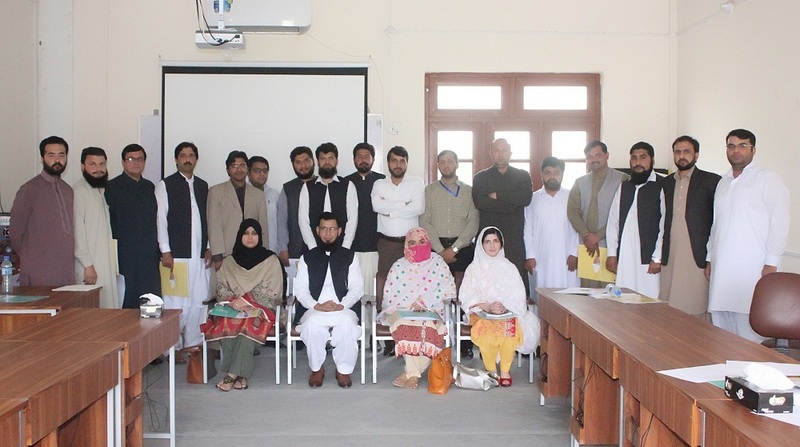 QEC of women university Mardan organised one day Workshop on Self Assessment Report in collaboration with QEC university of Peshawar for lecturers and Assistant professors at conference room, WUM . 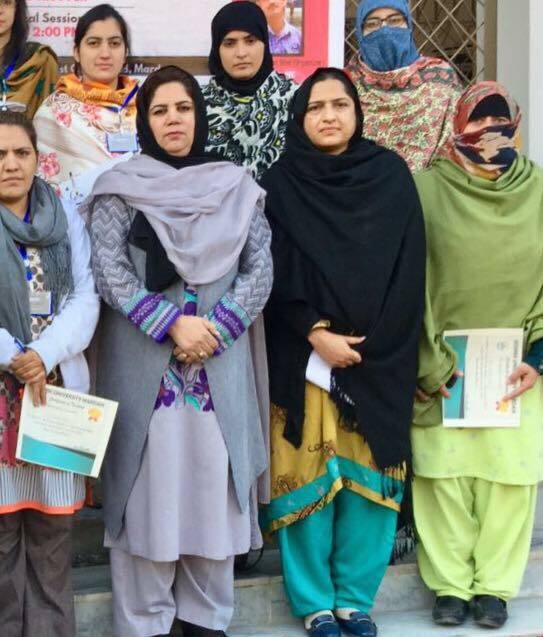 Women university Mardan participated at I M science in connection with 15 years celebrations of HEC. WUM received shield and prize . Chief guest was Regional Director HEC Peshawar. Sports week was organised at WUM, in which the students participated whole heartedly in different games. 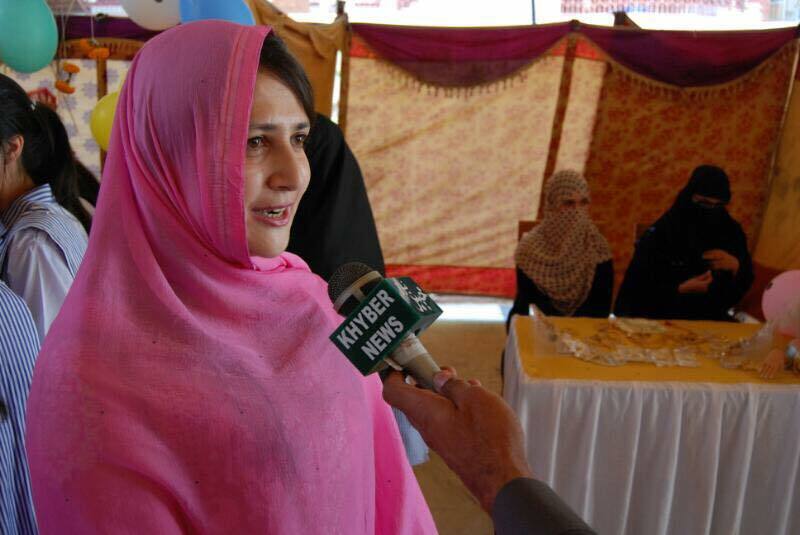 Ms Chaman Gul, Deputy Director Sports UOP was the chief guest at Sports Day. A friendly match of cricket was played between the students and the teachers, which the students won. 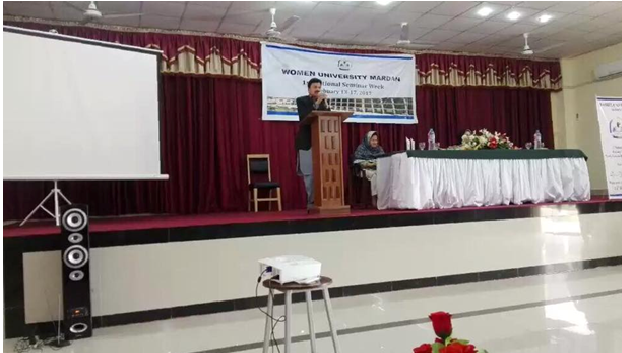 WUM organised one day seminar on importance of CPEC and Chinese language. WUM is initiating inshAllah Chinese language centre in July. Vice Chancellor WUM presenting a research at a conference paper organised by university ADEL Salento Italy in collaboration with Al Flah University Dubai at Dubai. QEC women university mardan has arranged a seminar today on plagiarism. Guest speaker was Mr. Salman Ahmad ,assistant director QEC university of Peshawar . 1st National Seminar Week February 13-17,2017 at Women University Mardan . Eminent scholars from other leading universities of Pakistan are invited to deliver seminars. Today was opening ceremony . 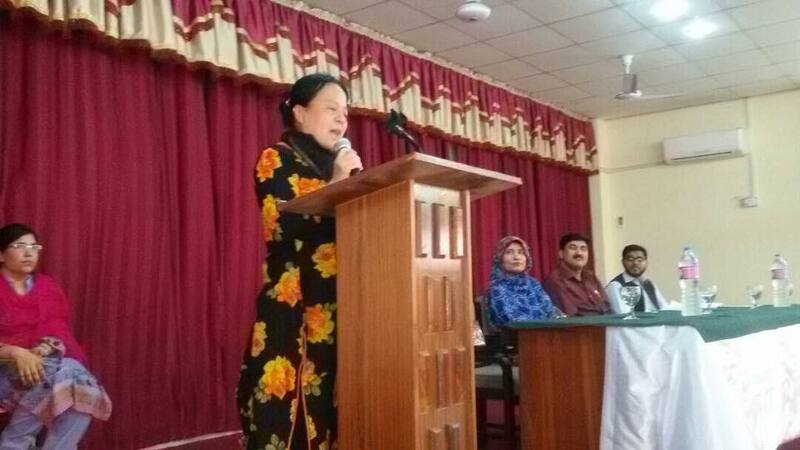 Madam Farah Hamid was the chief guest today in the opening ceremony. 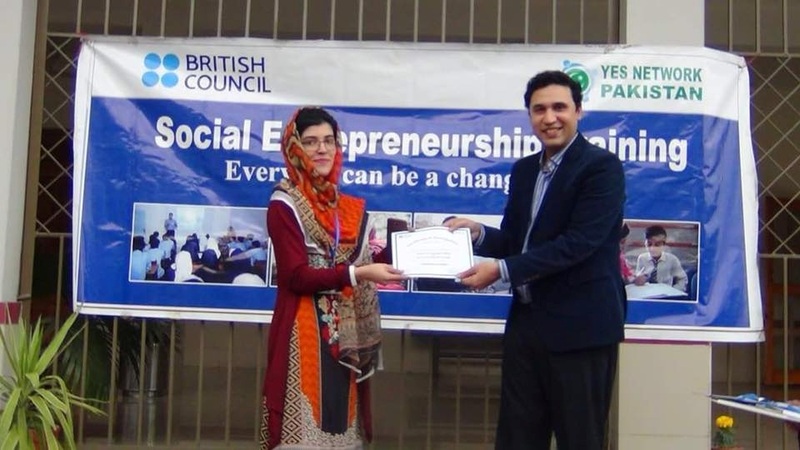 Faculty of Department of Psychology, has participated in two days training workshop on “Youth Led Change making and Social Entrepreneurship” organized by ORIC, WUM in collaboration with youth engagement services (YES) network Pakistan from 1st -2nd march, 2018. 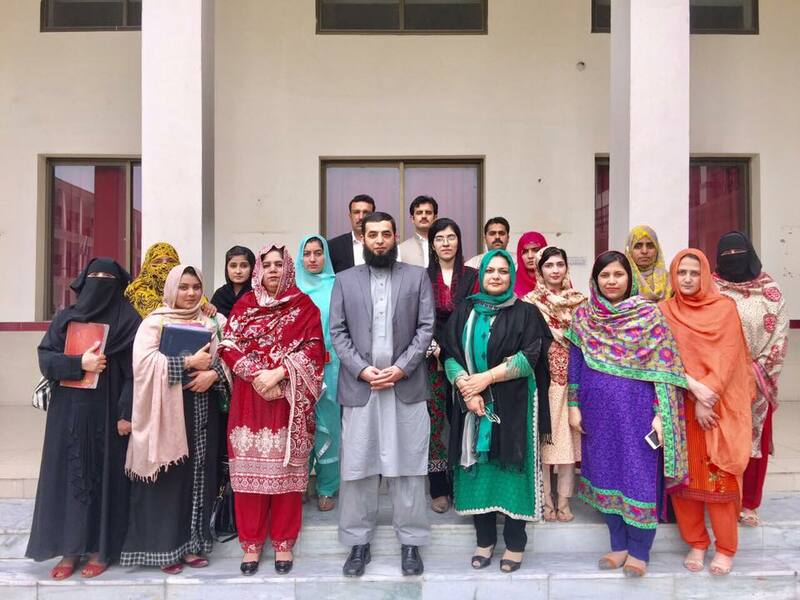 Faculty of Department of Psychology, has participated in three days training workshop on “Professional Skills Development and Entrepreneurship” organized by ORIC, WUM in collaboration with Center for Social Education & Development (CSED) under a project "SheCan" funded by USAID from 7-9 may, 2018 at Women University Mardan. Chairperson, Department of Psychology attended two days “Teachers Training Workshop on Microteaching” organized by University of Technology, Nowshera held on 19-20 April, 2018. Students and Faculty of the Department of Psychology attended one day workshop on “Data Presentation and interpretation for Effective Publication” on 20th march 2018 organized by Abdul Wali khan University Mardan. 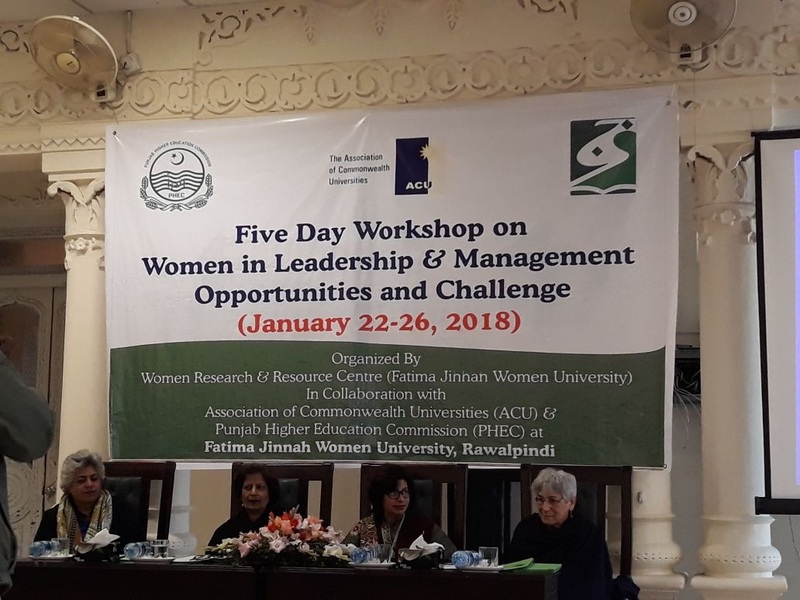 Faculty of Department of Psychology attended Five days workshop on “Women in Leadership and Management Opportunities and Challenge” from January 22-26, 2018 organized by Fatima Jinnah Women University, Rawalpindi. 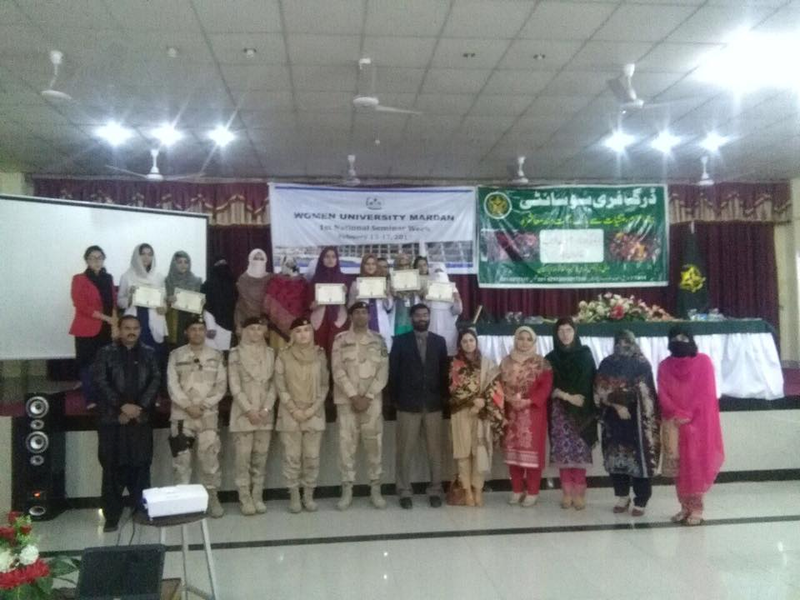 Department of Psychology, Women University Mardan in collaboration with Anti Narcotics Force (ANF), KPK successfully observed Anti Narcotics day. 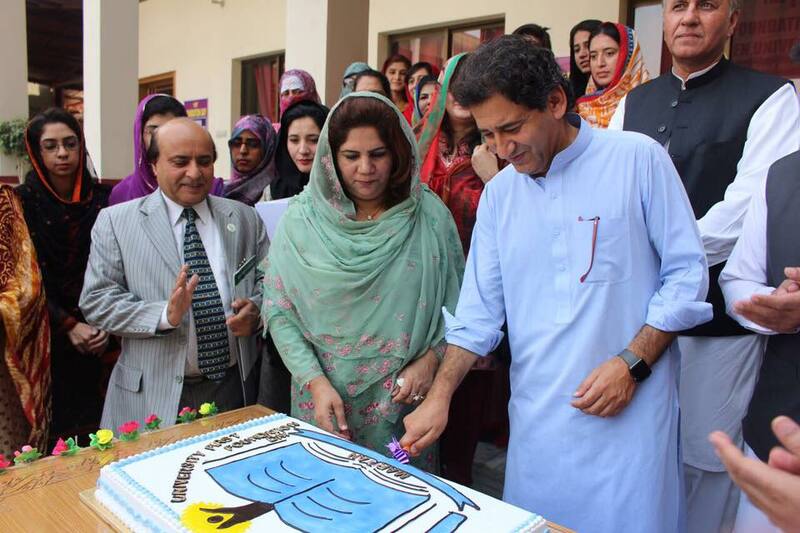 The Chief Guest was Director General ANF, KPK. A poster competition was also organized where students from the entire university participated. The theme for the posters was “causes and effects of drugs”. Student of B.S Psychology secured first position in the competition. The Faculty and students of WUM staged an ‘awareness walk’ against drug abuse. Department of Psychology organized seminar on “Workaholism”. 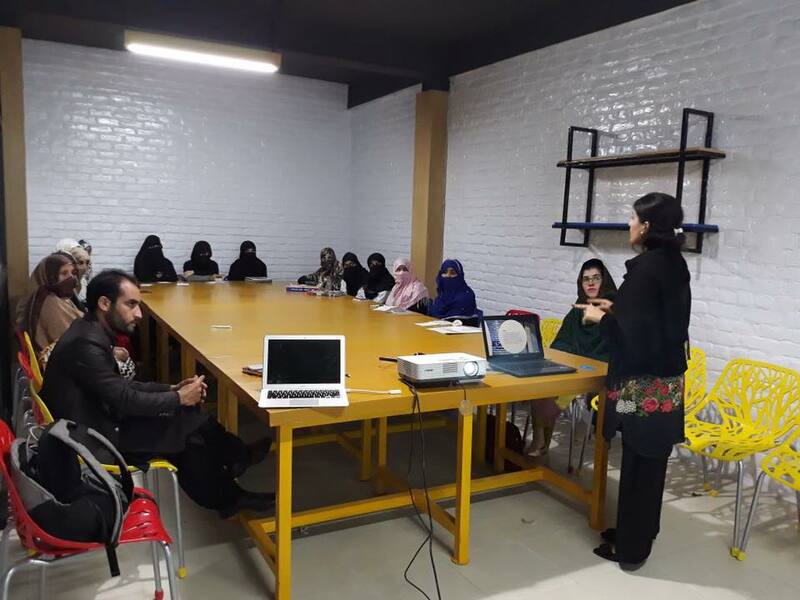 Dr Madiha Asghar, Assistant Professor Department of Psychology, Islamia College University Peshawar was the Guest Speaker. 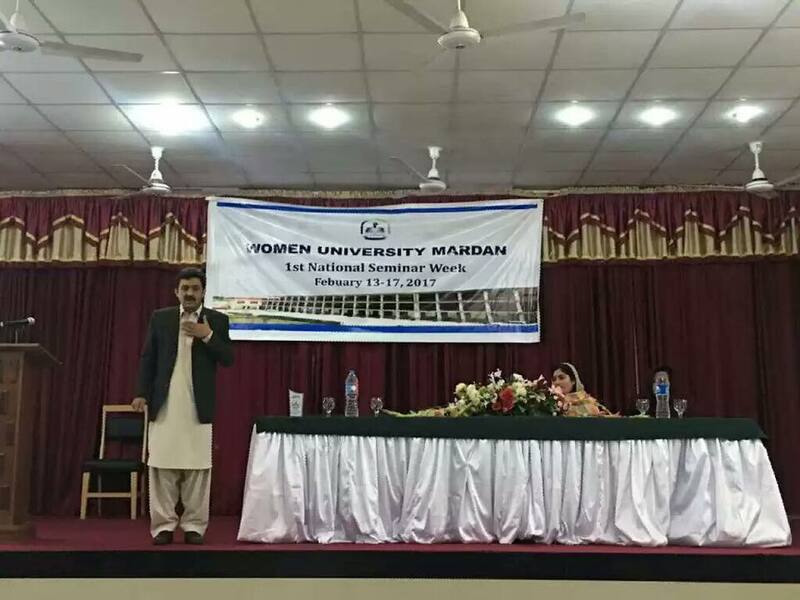 The seminar was arranged in 1st National Seminar Week held from 13th to 17th February 2017 at Women University Mardan. 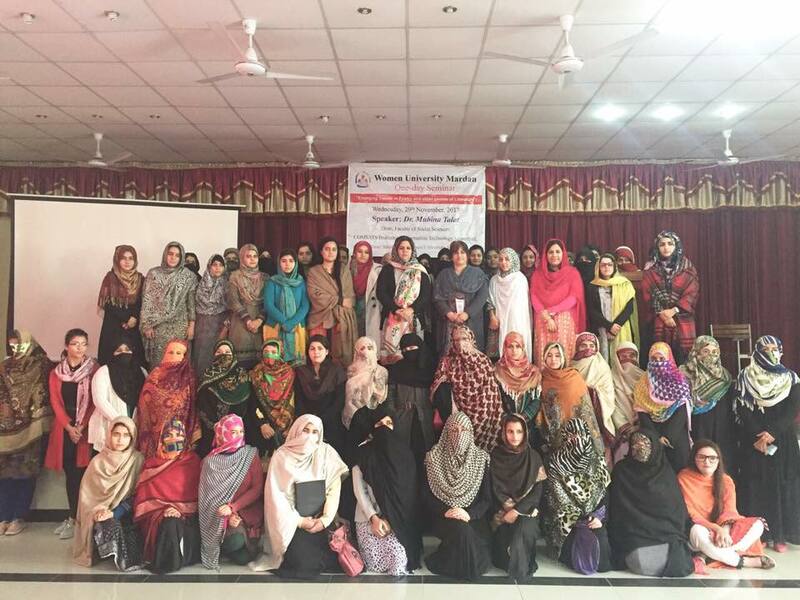 Women University Mardan, Department of Business & Economics(Mardan, KP, Pakistan) and Shaoor Foundation for Education and Awareness (SFEA) (Pakistan) has successfully organized two days training workshop in Women University Mardan on 5th & 6th March, 2018. 200 students per day from Business & Economics & Social Sciences departments has participated in training workshop. Inauguration ceremony of the “On campus virtual incubator” was held on 5th March, 2018 for aspiring women entrepreneurs using existing infrastructure and staff Via “on campus” trainings of administrating staff, development of linkages between stakeholders. 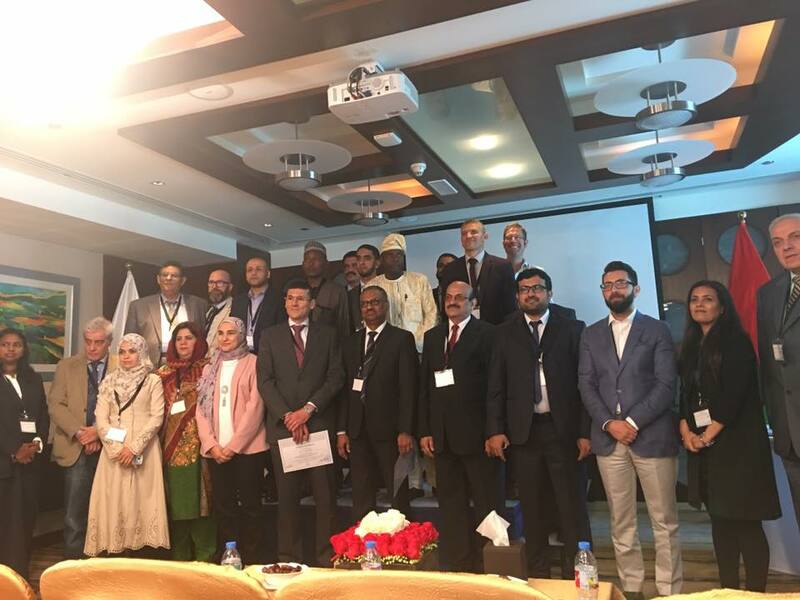 Pakistan has jointly organized 4th International conference and Industrial Exhibition on Dairy Science Park, at Selcuk University, Konya, Turkey, on November 1st to 5th, 2017. 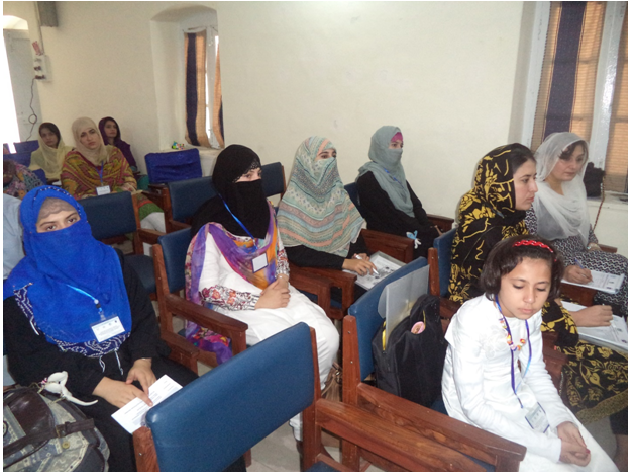 Department of Business & Economics (DBE), Women University Mardan (WUM) has successfully organized a study tour for three days International conference on “MARGINALISATION AND SOCIAL EXCLUSION IN THE PERSPECTIVE OF MARKET ECONOMY” on 17-19 August, 2017 at Baragali Summer Camp (Baragali, Abbottabad), University of Peshawar. 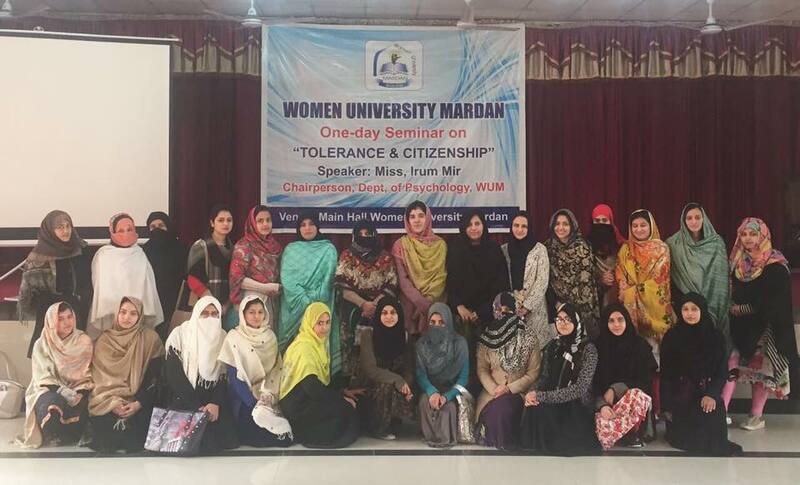 Faculty of Department of Business & Economics (DBE), Women University Mardan organized seminar in Women University Mardan (WUM). The topic of seminar was “Credit-Creation by Commercial Banks” and was presented by Prof. Dr. Zilakat Malik, Chairman, Department of Economics, University of Peshawar, held on 14th of February, 2017. A seminar on “YOUTH-LED CHANGE-MAKING through Social Entrepreneurship” on 1st & 2nd March, 2018.